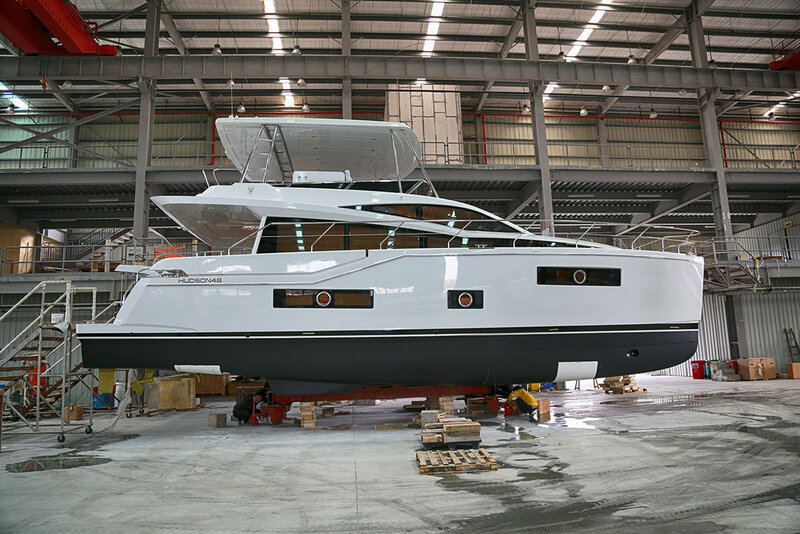 The first charter version HPC48 launched today. 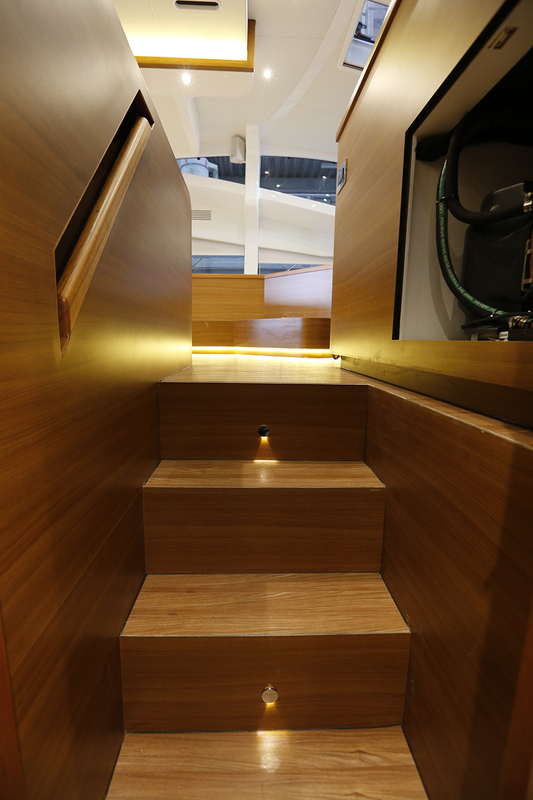 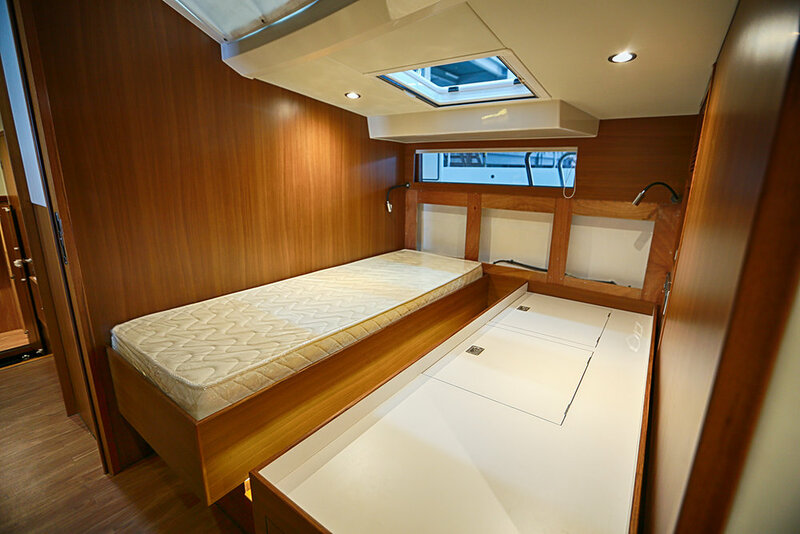 She differs in several ways from the standard owner's version, most notably with the two deck level cabins to forward. 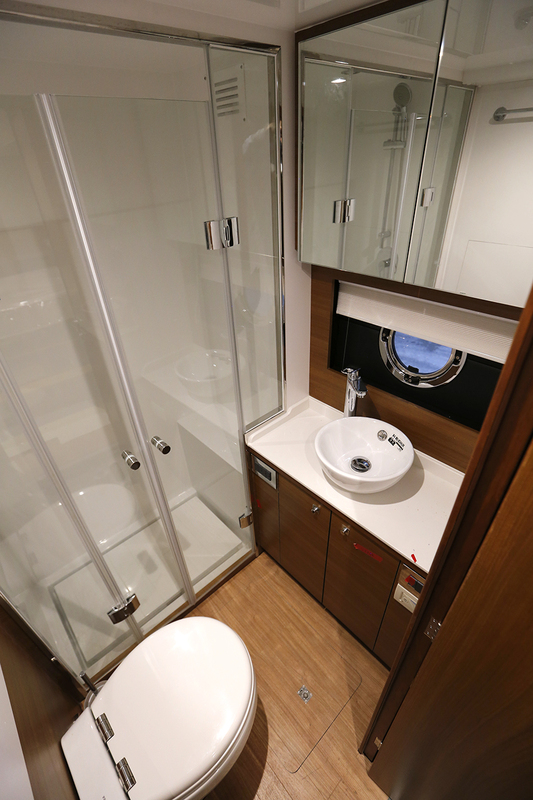 Both of these cabins each contain two berths that convert to single queen berths. 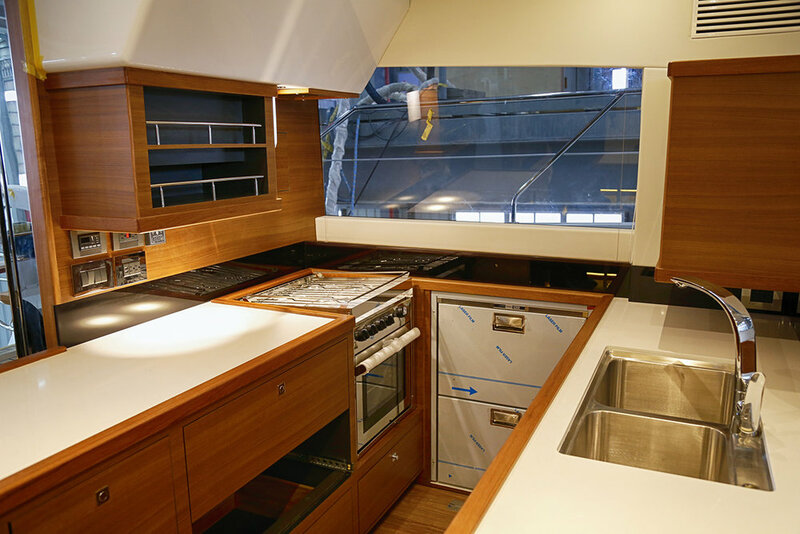 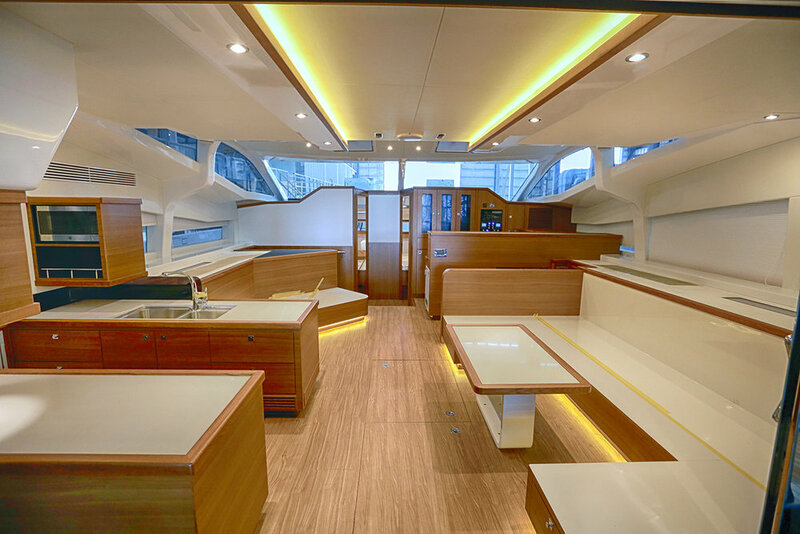 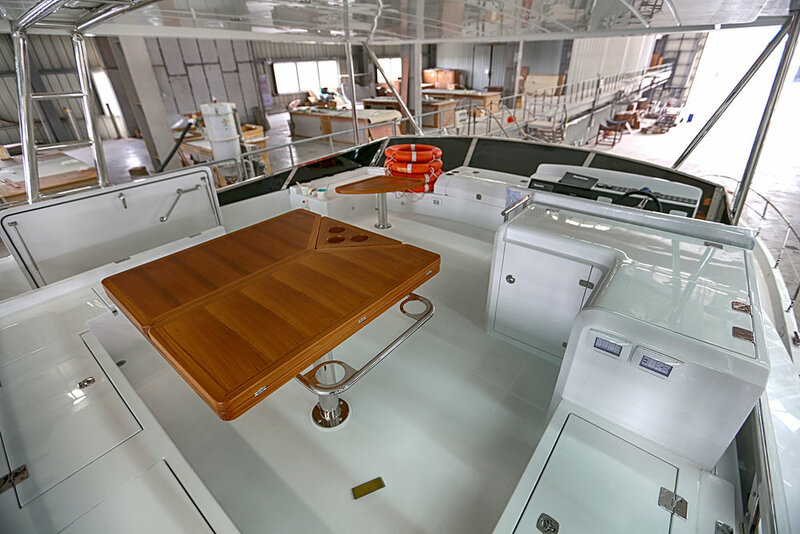 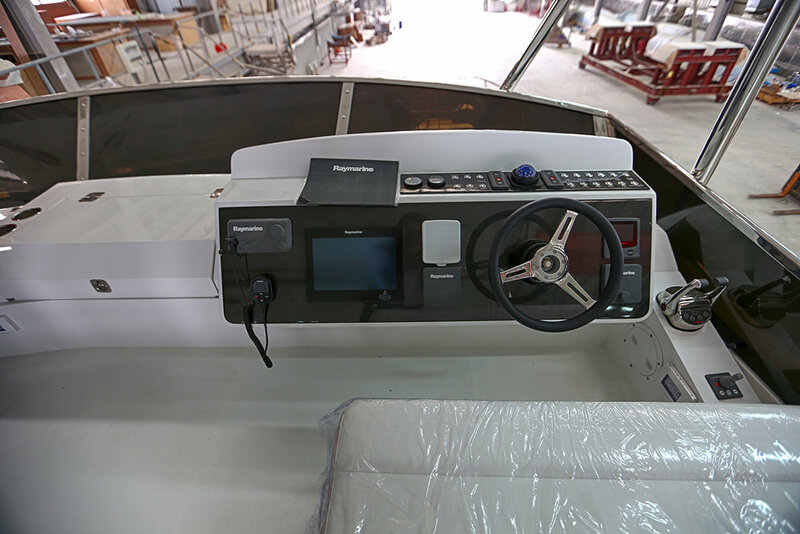 Sea trials begin tomorrow as the finishing team make final touches to the interiors. 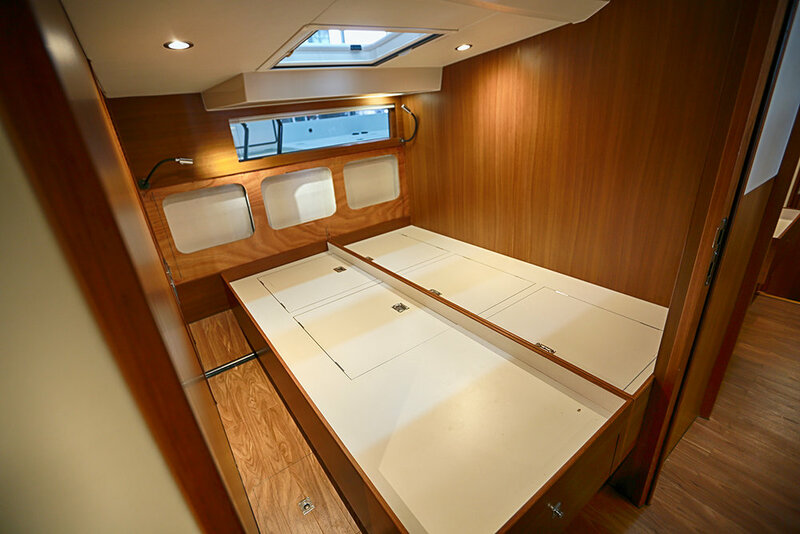 Here is a selection of photos taken last week showing the new interior layout.